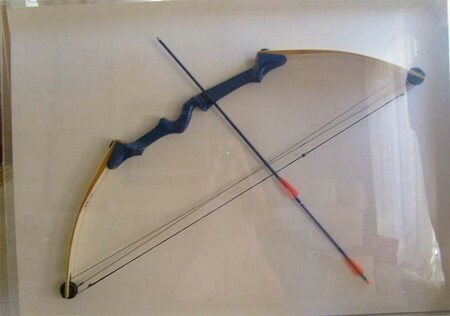 Bow and arrows is a medieval weapon. Its use is incredibly hard to track. This weaponry is very well regards even Hollywood recognizes its elegance in movies like Robin Hood. His weapon is ancient and useful as it is simple. If the modern day expense of owning a bow and arrow is too high, here is how you can build your very own set that tailor fits both your size and various desires. Here is how you can make a classic bow and arrow. Continue reading on for more details. Go to your local sporting goods store. Go to the hunting or recreation sections to find quality bow and arrows. Pay attention to the details. Look at the dimensions of the sets. Feel the way it should be made. This will give you a sort of template to go one. This will lend you some great ideas in terms of design as well. Collect all the necessary materials. Decide which woods you will construct your arrows and bow out of. Don’t forget the item you need to make the arrowheads, bow string and fletching. Find a section of wood that will work. Strip it so that you can start to shape it. Go with the natural shape of the wood with some sandpaper or a wood working tool. Work with the wood until it is easy to bend and it is smooth. The wood can’t be weak, though. Cut a slash in the end for the strings. Decide what you will construct the string of your bow out of. It needs to be an accurate length to function right. Construct the arrows. Fasten the arrowheads to the end of the stick. Make 3 slits in close range to the shaft. This is where the fletching will go. Cut a place for the arrow string to be positioned in as well. Make the string shorter than the length of the wood of the bow. This will bend the wooden frame and add the needed potential energy. Secure with bow with tight knots. The bow may break apart if the knotting is not tight enough. Double check this. Continue to make bow and arrow sets until you are comfortable making them. Your first set may not be the image of perfection; however, it’s worth trying again.